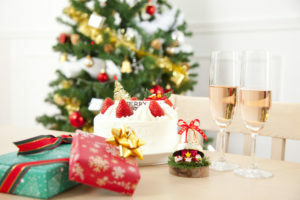 Bring Your HOA Together This Holiday Season - Advanced Management Inc. When you run an HOA, you know that being on the board means a lot more than applying the rules, making decisions, and approving or disapproving home improvement projects. It also means that you are responsible for helping develop a sense of community among your homeowners. Sometimes, this job is easy. Other times, you have to be intentional about helping people get to know each other. Fortunately, the Holidays are a great time to help your homeowners meet each other. Nothing makes people happier than a party does! If you have access to a community clubhouse or common area, plan to have the party there. You can also plan to have it at the home of one of the association members. In fact, inviting people into your personal space can make the event even more intimate and help build even more community. You don’t have to plan anything too elaborate or extensive. Simply giving people a place to meet and an excuse for doing so can help facilitate a sense of community among your group. When people help others together, they grow together as a group. You can serve a meal at the local homeless shelter, gather items and deliver them to needy folks, help someone in the neighborhood who is struggling, or put together Thanksgiving food baskets for a local food pantry. No matter what you do, make sure you get as many people in the neighborhood involved as possible. You may even want to call all of your homeowners individually and invite them to help, because a personal invitation can go far towards making people feel welcome and wanted. Is there work that needs to be done around your community? Maybe you can pick up trash together, do some maintenance, or tidy up the clubhouse. Make sure that your homeowners don’t feel like you are using them as free labor for things that the HOA should be paying to have done by choosing a special project and letting them know that this is a chance to help out the community they love, and nothing more. Set aside a day where everyone can decorate their homes at the same time. When people are outside putting up lights and such, they will naturally get to talking and will thus get to know one another. If you have a clubhouse or other public buildings, you can also get a group together to decorate these, inside and out. When you have people working together on a project like this, they will chat, share, and become friends. Again, make sure that you still pay for decorating services as usual, but offer this as a separate chance for your homeowners to contribute, too. Building community among your HOA members can make your job as a board member even more satisfying. Not only will you feel like you’re making a difference with the neighborhood, but you’ll know that you’re helping improve individual lives, as well.